As inspirations for new beers go, honouring International Paloma Appreciation Week has to rank as one of the more reaching. What next, a vanilla milk stout in memory of Ouyen's Great Vanilla Slice Triumph, which, sadly, ran for the last time six years ago this month? Still, if you're reading this and didn't know about Palomas beforehand, they're a Mexican cocktail featuring tequila and grapefruit found "so often living in the shadow of the world famous margarita", according to the info we've been sent. Consider yourself woke. As for why IPAW warranted a nod, Stomping Ground co-founder Steve Jeffares says it "allows us to have a lot of fun whilst expanding our beer brewing horizons. We really enjoy taking inspiration from other drink areas, like cocktails, to explore new flavour profiles, but also to engage with an audience that maybe wouldn’t have tried independent beer before." 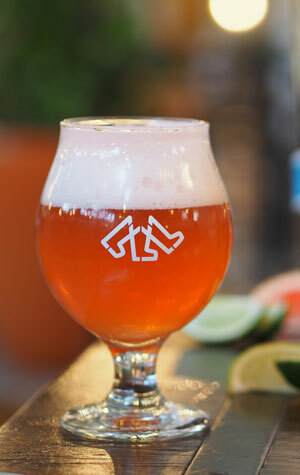 They've done this by taking the salty, sour gose style and adding lime, grapefruit and tequila to create a beer we're told "is both sweet and tart, beautifully aromatic and completely delicious." And, if it is indeed delicious, then, really, who cares too much about the inspiration?